Home Uncategories Stunning Altmore Composite Door, with matching composite side panels. Stunning Altmore Composite Door, with matching composite side panels. 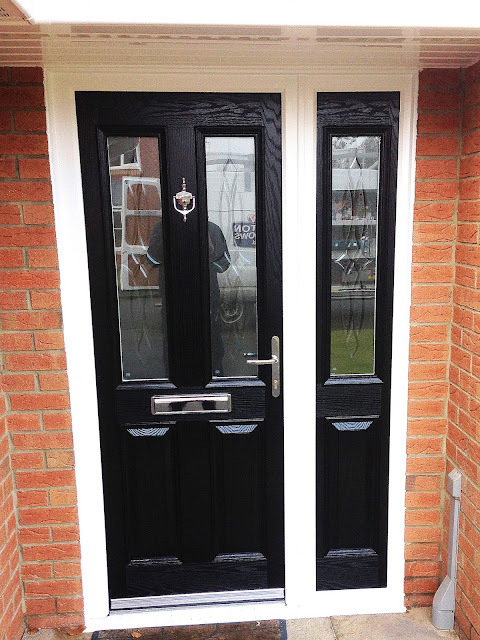 The ever Popular Alt-more (Two Panel) Composite door design in black! Elegant Cascade Glass panels, with beautiful matching Composite site panel. The framework is the high quality Rehau UPVC profile, and the fixtures finished off in Chrome with a chrome urn-knocker. Beautiful Black Altmore Composite door, with matching side panel & Cascade Glass design within the center, with high quality rehau UPVC profile.